The blues aren’t always blue. It’s a veritable color wheel of emotional hues. Sprinkled among those you’ll also get the occasional “I like whiskey” songs, the “I’m going to shoot this dude” songs, and the “I was hanging out with the devil at midnight on an empty road” songs. But today, we’re only concerned with category 3 from the above list. 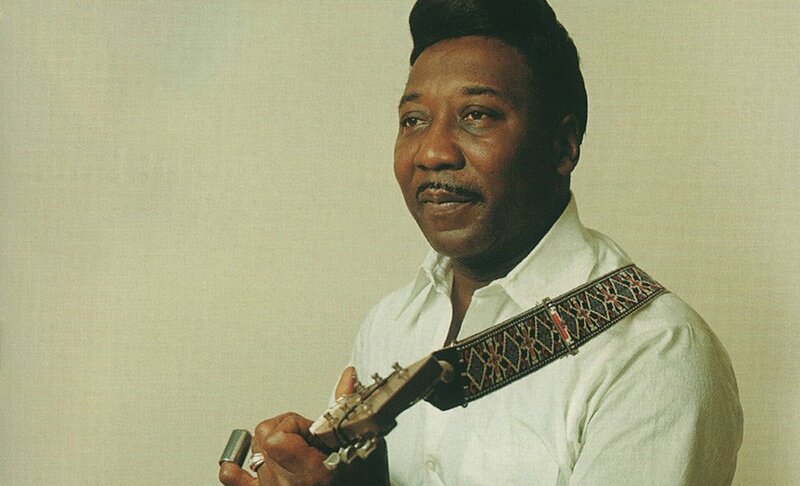 Muddy Waters grew up on a plantation in Mississippi. As a teen, he sold his family’s last horse, gave half the money to his grandmother, and with the remainder, bought himself his first guitar. By 1941, when ethnomusicologist Alan Lomax came to town to record some country blues artists for the Library of Congress, Waters was pretty darn good. After hearing himself on the recordings, Waters thought, “Hey, I sound just like the guys on the jukebox,” and decided to go pro. In Sweet Home Chicago. After gigging around town for a while, Waters knew he needed an electric guitar. His acoustic couldn’t cut through the crowd noise in clubs, and besides, he wasn’t out in the country anymore, and he no longer wanted to play sad blues songs about life on the plantation. Waters now lived in a vibrant city filled with electricity and neon and noise and he wanted his music to reflect that. By the late 1940’s, he was a star in Chicago. By the mid-1950’s, he was a star all over America. In the spring of 1955, new kid on the block Bo Diddley released a track called “I’m A Man,” inspired by one of Muddy’s songs from the previous year titled “Hoochie Coochie Man.” Waters decided to answer back immediately and wrote “Manish Boy,” a slow, stripped down, raw blues song whose lyrics suggested that if the ladies wanted a real man they should come to the older, more experienced Muddy and forget about the man-boy Diddley. 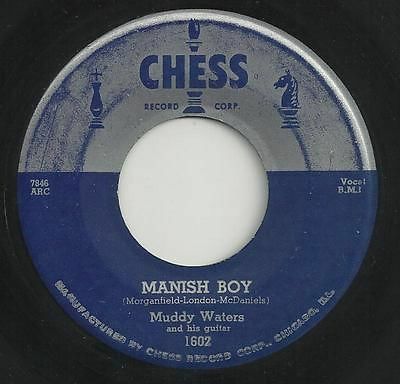 Released in the summer of 1955, “Manish Boy” went Top 5 on the R&B chart and became a cornerstone in the blues canon. Waters toured the UK for the first time a couple of years after this and helped launch a blues boom that would last throughout the 1960’s. School’s in session. So get ready for a spelling lesson … with Muddy Waters.